I am a serious political junkie, and become absolutely consumed during every U.S. presidential campaign. I spend way too much time reading coverage of both the Democrat and Republican candidates, watching the debates, etc. In this cycle, I am disappointed but I guess not surprised that Mexico – and Latin America generally – has played such a small role in the race. Unless you include Donald Trump’s racist comments about Mexicans being ‘rapists’ and ‘murders’, it has almost been absent entirely. Moreover, there are strong arguments favoring an analysis that more action against Daesh will fuel more terror attacks, thereby justifying additional action. In that way, a ‘war’ on Daesh or terrorism in general is like a war on internet trolls. Yes, they are vile, sub-human creatures that should just not exist. But it’s impossible to know who all of them really are and even if you cut down one, another will pop up in his place. And the more attention they receive, the more their existence is justified. If the President’s job is to keep the American people safe, the candidates should not be focusing on terrorism. So I am taking a moment to make the case as to why Mexico and Latin America should figure more prominently in the foreign policy proposals and debates of the candidates. Central to this case is the issue of the drug war and human rights. Although trade and immigration are hugely important, I believe that our ability to resolve bilateral issues in those areas will be enhanced by boosting our credibility when it comes to the dire situation of human rights and the rule of law. I can recall the first time I saw Trump’s comments on television here in Mexico City. It was lunchtime and I was waiting to order carnitas. The place was packed with ordinary Mexicans. The feeling in the room was palpable – anger, shock, sadness. How could Trump generalize a nation of 122 million into a caricature of a villain wanting harm innocent people? About 9 percent of people born in Mexico currently live in the United States; most people here know somebody living in El Norte. So the insult was very personal for people here. It was also a poor electoral strategy for Trump, given that Mexico is the number one source of immigrants in most states (including most battleground states). Even more infuriating than the meanness and unpresidential nature of Trump’s comments, however, was that they were simply not true. More Mexicans are leaving the United States than arriving. Moreover, the crime rate among the foreign-born population is consistently and significantly lower than the native-born population. On top of that, 82 percent of all rapes are committed by someone known by the victim; for murder, over half of victims know their killer. So unless Trump and his supporters have a bunch of Mexican ‘illegals’ as friends, I am not sure why they are so worked up over their purported criminality. Unfortunately, the GOP debate on Mexico has, like everything else, been shaped by ‘what Trump said’. Similarly, on the Democrat side both remaining candidates seem content with pointing out the obvious fact that Trump’s comments were idiotic, otherwise avoiding Mexico. So what should the debate be about when it comes to Mexico? In all fairness to Trump, Mexico does send a source of violence and death across the border: black tar heroin. The heroin epidemic has come up multiple times in the race, but somehow none of the candidates have completed the loop by addressing the US-Mexico relations element (not even the former Secretary of State, with all her foreign policy bonafides). Just a few years ago, deaths from heroin overdose were 1/3 of those from cocaine; now they are about double. The correlation in time between the decline in cocaine overdose deaths and the rise in heroin overdose deaths is notable. This is in part attributable to the rise in the abuse of prescription opioid pain relievers, which exploded between 2001-06 (i.e., before the heroin epidemic started). If people addicted to pain relievers cannot obtain the drugs via a prescription or street source, heroin seems to be the backup choice. The mini-cartels did not have enough financial resources to negotiate the same supply deals with the Colombians, and had to turn to new lines of business they could control like heroin and meth. And the Mexican cartels are, like Donald Trump, really good at selling trash to Americans. They knew that heroin use had remained steady for so long because most illegal drug users drew a line at anything you inject with a needle. Most people of my age grew up watching Trainspotting, and that’s our popular conception of heroin use. So the Mexican cartels figured out a way to manufacture heroin in powder form. That way, it could be snorted, smoked, or swallowed in pill form. They also broadened the map, moving beyond typical drug sales locations like Chicago and New York, to medium-sized cities in the heartland. Mexicans – including Chapo in his “interview” with Sean Penn – are fond of saying that if Americans want the flow of drugs going across the border to stop, they should just stop using drugs (i.e., supply follows demand). But this is an false oversimplification of consumer psychology, especially when you are talking about highly addictive substances. There is plenty of blame in the United States for the heroin epidemic: overprescribing of pain relievers at ‘pill mills’, the treatment of drug use as a criminal justice rather than a public health issue, etc. But it’s not like Americans flew down to Mexico and asked the cartels to please start sending heroin. It was a deliberate strategy to open up a new market, just like any major enterprise. Oh, and by the way, illegal drug use in Mexico – which has always been at the bottom of OECD countries – is on the rise. The candidates – amazingly, on both sides – have done a good job addressing the need to change our domestic approach to drug addiction and incarceration for drug offenses. But I have not heard any of them close the loop by proposing what to change with our approach to Mexico. The ‘kingpin strategy’ in Mexican has utterly failed precisely due to its success. Catching high-level cartel leaders makes for good headlines and Tweets, but it leaves a massive organized crime structure behind that simply reorganizes into several new factions. Handing over $2.3 billion in funding for military hardware, among other things, is a neat, quantifiable objective and surely buys some credit with the Mexican government and law enforcement, but it is counterproductive if that hardware is used to commit human rights abuses (more on that below), is given to law enforcement agencies that are controlled by cartels, or is used to achieve short-lived ‘victories’ like capturing Chapo. There is a lot of yelling about border security in terms of poor migrants crossing on foot, but as serious of a problem re drugs are the tunnels and the mules with visas flying to places like Columbus, Ohio. The drug war policy generally needs more perspective (like, should we be calling it a war?). We’re talking about 15-20K deaths per year from overdose, compared to almost 31K deaths from car crashes. I know, cars generate much more social benefit than drugs, but we have grown to tolerate a reality where 92 people die every day. My understanding is that that number does not include the huge numbers of people who have ‘disappeared‘ in Mexico, in a phenomenon known as ‘forced disappearances’ (it’s a sad comment on the situation when literally everyone in Mexico knows what that means). Keep in mind that the numbers for both disappearances and killings are likely lower than in reality for a variety of reasons, including an unwillingness by family members to report incidents to police, bad statistical/record keeping practices at the local level, etc. The dismal state of human rights in Mexico reached a boiling point in 2014 with the forced disappearance – and likely execution – of 43 student teachers from the poor town of Iguala, Mexico. Although only one of a series of widespread abuses that included involvement of government law enforcement agencies, its timing and visibility provoked an incredible response from civil society and international human rights organizations. Even the U.S. State Department cut 15 percent of funding under the Merida Initiative for 2015, arguably influenced by the Iguala teachers case. Meanwhile, widespread corruption – from traffic beat cops to Los Pinos – not only persists, but is conducted openly and virtually unpunished. Collectively known as ‘impunity’, the symbiotic relationship between narco violence and government corruption has created two Mexicos: one for the elite and traffickers, which enrich themselves by illicit means; and another for the majority of Mexicans, who face a spectrum of violence ranging from low wages and unsafe working conditions to becoming another casualty in the drug wars. Most U.S. presidents, including Pres. Obama, have given Mexico far more latitude in the areas of human rights, corruption, and rule of law than they would to, say, Cuba. This approach is not entirely unjustified. We share a long border with Mexico and generally have a strong relationship. Lecturing about human rights would probably have little impact and would jeopardize cooperation in important areas. But an argument can be made that Mexico has reached a turning point where the absence of the rule of law is resulting in the deaths of tens of thousands of Mexicans and Americans. Our relationship with Mexico is highly important and ‘special’, but not unconditional. The lawlessness and violence in Mexico has seeped over the border: not only in the form of drug addiction and money laundering, but also literally as evidenced by the mutilated bodies found in border areas like Texas. 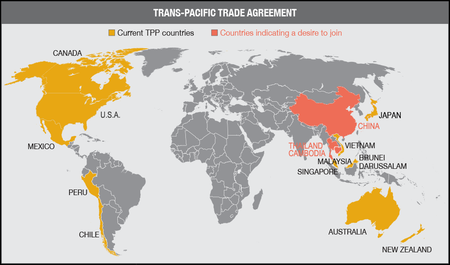 Although no U.S. administration has ever ignored human rights and the rule of law, it has often taken a back seat to security cooperation and trade (covered below). It makes no sense to cooperate on security issues with law enforcement agencies that have been in large part ‘captured’ by narcos. Also, the U.S. has long been reluctant to address so-called ‘grand’ corruption at the presidential level. But even if this corruption is unrelated to narcos – although sometimes it is – it is part of and fuel for the same phenomenon. Elevating the priority of anticorruption and rule of law efforts in the bilateral relationship will not undermine security, but enhance it. Recently, Mexican state-owned companies – notably PEMEX – have sought out the benefits of U.S. law and courts by suing private companies under the civil RICO statute for paying bribes to employees of … PEMEX. If the Mexican government likes the idea of using U.S. courts and law to seek ‘justice’, they should be fine with victims of human rights abuses bringing their grievances in U.S. court. Guatemala – although by no means a model student on rule of law and corruption – has been successful in attacking impunity through the UN International Commission against Impunity in Guatemala (CICIG). Most recently, it forced the president out of office based on a corruption investigation. The CICIG is so popular, that people in neighboring Honduras were protesting corruption there, and demanding the creation of their own anti-impunity body. In January 2016, they got one – the MACCIH under OAS auspices – although it remains to be seen if they can replicate the CICIG’s success. If the Mexican government is unable or unwilling to root out corruption and impunity, the U.S. should consider encouraging the creation of a CICIG-like mechanism to do it for them. Pinocchio’s embrace of language that avoids all substance has a cultural affiliation with the Mexican leguleyo, which roughly refers to a person obsessed with legalisms devoid of any meaning or context. In Mexico, the prevalence of this approach to the law is partly due to the civil law tradition, and partly due to the weak rule of law generally (with the former reinforcing the latter). In other words, a legal tradition that often prioritizes form over substances enables the law to be manipulated by those in power to whatever ends they see fit. The leguleyo tradition was on full display last Friday, when the Secretary of Public Administration (SFP) released a report on its investigation into potential conflicts of interest between the President, First Lady, and Finance Minister, and Grupo Higa. Higa’s principals had provided houses or financing for houses to all three when EPN was still governor of the State of Mexico. At the same time, it grew to become a major recipient of government contracts, first at the state and then the federal level. The scandal arose out of investigative reporting by Aristegui and the Wall Street Journal in late 2014. As most observers expected, the SFP found no evidence of a conflict of interest on the part of the President or Finance Minister in relation to the real estate received from or with support of Higa. But crucial to SFP’s analysis was the following: EPN and Luis Videgaray were not ‘public officials’ (i.e., at federal level) when they received the benefits from Higa. Rather, EPN was governor of the State of Mexico and Videgaray was the campaign manager of the victorious PRI campaign when the benefits were received. SFP did not look at potential conflicts of interest at the state level, because it falls outside SFP’s mandate (there is a local auditor that can do that). SFP did not consider whether receiving a multi-million dollar property a few years before one becomes a ‘public official’ could create a conflict of interest with said public official (it’s not defined that way in the law). Given the level of concern generated by the relationship between EPN and Higa, you would expect that SFP would instead look at ‘conflict of interest’ more broadly – you know, how the average person understands it. But leguleyo tradition prevailed, and that man steering the investigation was a longtime person friend of Videgaray and member of EPN’s transition team (talk about conflict of interest!). As for the process of announcing the report (which opposition congressmen and reporters had been demanding for weeks), it was a hastily-organized Friday press conference (reporters were called at their home around midnight). Moreover, although the materials were released to the public, the supporting documents were posted in 456 separate PDF files (versus, say, a single ZIP archive). If we adopt the SFP’s approach of elevating form over substance, we can conclude that its method of releasing the information was intended to limit its dissemination. This is hardly what you would expect from a full-throated acquittal of EPN and Videgaray. The SFP, which had built a sterling reputation over the past few years, sacrificed its credibility on the altar of a noble lie that seems to captivate the President. EPN’s noble lie is something along the lines of the imperial presidency (as Pres. Nixon put it: “Well, when the President does it, that means it is not illegal.”). Not only does EPN need to be afforded special leeway in his realm of action, it is also important that he be perceived as a competent manager of the nation. This Mexican noble lie persisted through the PRI’s 71-year reign, but was shattered by its defeat at the hands of the PAN in the 2000 presidential elections. 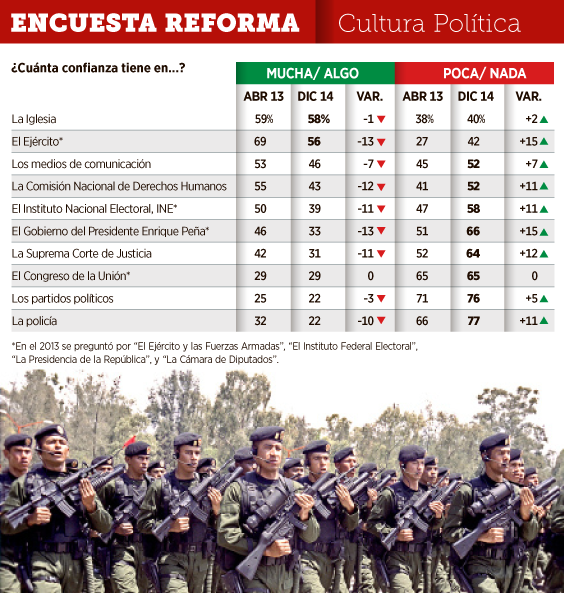 EPN hoped to resurrect the idea, and his ambitious reform package was meant to be a jump-start. Unfortunately, nobody in Mexico believes this noble lie anymore, and I’m not sure it was ever really resurrected anywhere outside of the international press when it comes to EPN. After Ayotzinapa and similar unexplained massacres, the shooting down of a military helicopter by New Generation Jalisco cartel, and the escape of El Chapo, the Mexican President and his government appears utterly inept. In other words, there is no noble lie to defend. It is unfortunate that the SFP forever tarnished its reputation defending an idea that is laughable to most of the population. Corruption and weak rule of law are two of the biggest problems facing Mexico, particularly because they exacerbate the other problems like narcotrafficking. Like the Petrobras investigation in Brazil, the SFP ‘casa blanca’ investigation could have marked a turning point in Mexico’s development of a political culture rooted in the rule of law. Instead, it exploited legalistic concepts to defend an imperial presidency that exists only in EPN’s imagination. Perfect Storm – Is the Mexican Economy About to Collapse? Mexico’s underperforming economy has been covered here before. But those posts addressed long-term, structural impediments to Mexico’s ability to develop a modern economy with a higher growth rate. Notably, those posts did not address the most commonly cited ‘structural’ flaws in emerging market economies: fiscal irresponsibility, currency interventions, protectionist trade measures, etc. (think Argentina). Indeed, as mentioned in the past post on FDI, by most measures Mexico has closely followed all of the standard macroeconomic recommendations issued by the World Bank, IMF, OECD, etc. The recent reforms were meant to address the major remaining areas where it supposedly fell short, even though the concrete benefits of following these policies have not always been apparent. Of course, it will be more difficult to refinance these loans or seek new sources of cash in light of the conditions outlined above. Based on the graphs, about 26 percent of the Mexican private sector’s USD 105 billion in foreign debt will mature between now and 2018. Moreover, the instability that would prevent Mexican businesses from obtaining financial lifelines would likely also result in a general ‘fleeing’ of hot money from Mexico to the safe haven up north. It is also worth noting that 35 percent of Mexico’s public debt is held by foreign investors. Corporate Bankruptcies = What Impact? It is unclear how a wave of corporate bankruptcies would affect Mexico. 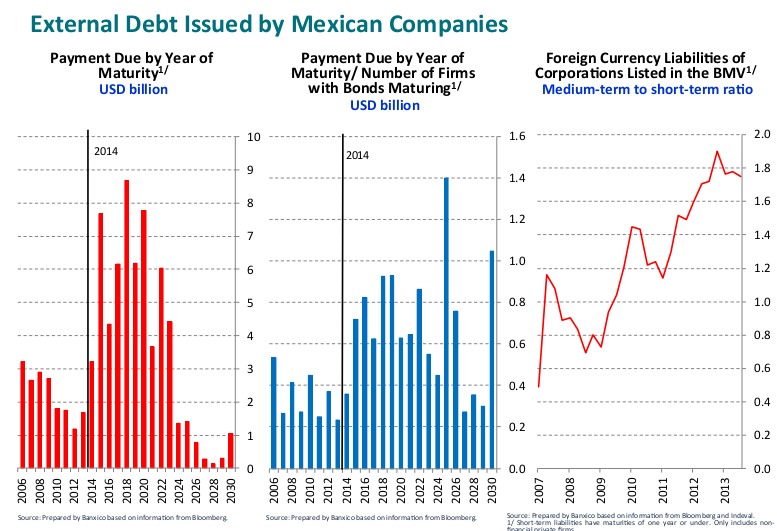 The most indebted companies are on the stock market, which constitutes around 44 percent of Mexico’s economy. But the majority of Mexicans work in smaller, unlisted companies, or in the informal economy. In some ways, the large size of Mexico’s informal economy arguably benefits the country by acting as a buffer against financial ‘contagion’ from overleveraged enterprises. Still, a series of high-profile bankruptcies would have an extremely negative impact on Mexico’s perception as an investment destination, and could stimulate a vicious cycle leading to additional failures. Perhaps the most substantial impact will be felt in the area of politics and governance. A weakening of the economy transitioning into a full-fledged crisis would likely influence the outcome of the 12 gubernatorial elections next June, as well as the presidential election in 2018. Specifically, there would be an increased chance of Andres Manuel Lopez-Obrador’s Morena party of establishing itself as a national political force in next year’s elections, and perhaps delivering the grand price to AMLO himself in 2018 (coincidentally, he is currently leading polls among other likely candidates). At the same time, the gaps in employment and financing caused by a debt crisis would be filled by the informal sector, which roughly correlates with increased influence among organized criminal groups, such as narcotraffickers. In terms of economic development, a crisis would not fundamentally alter Mexico’s role as one of the USA’s main source of manufactured goods. It could, however, potentially cause severe damage to Mexico’s role as a major energy-producing country, perhaps making the decline in oil production irreversible. It is debatable whether such a fate would consign Mexico to its middle class ‘stall’ or spur the country to modernize its economy without the luxury of petrodollars. The Mexican government’s ability to intervene on behalf of private companies is limited, and it will probably have no choice but to play the part of observer when it comes to private entity failures. But, the government could undertake some measures to try and stimulate the economy and make up for the shortfall in increased exports and local investment. For example, the government could increase spending on infrastructure. One selfish idea of mine is for the government to gift new, low-cost cars (e.g., Tata Nano) to all residents of the Mexico City area in exchange for older, higher-emissions vehicles (the ‘Oprah Solution’). Indeed, the federal government could buy a new car for all 350,000 residents affected by recent bans on Saturday-driving by older vehicles for USD 1.05 billion; compare to the USD 9 billion in budget cuts planned this year. Nonetheless, the current administration has adopted a zero-based budgeting approach for 2016, which will complicate efforts to increase public expenditures, and likely result in greater cuts. It is unclear how the government expects to encourage economic growth with reduced public expenditures in an environment of depressed private investment, potential private sector failures, and low consumer confidence. Of course, if all else fails the Mexican government may be able to seek a bailout from the United States Government like it did during the ’94-95 Tequila Crisis, but they better hope that the US President’s name doesn’t rhyme with ‘pump’. Latin America is a region characterized by incredible diversity – in cultures, histories, and economic and political development. Only through oversimplification can the region be seen to move as a group (e.g., Nicaragua vs. Costa Rica vs. Panama or Brazil vs. Colombia vs. Venezuela). There’s also the Caribbean, which on its own provides a study in contrasts: Cuba, the last fully Communist country in the hemisphere, is closer to the United States than Puerto Rico, which is a U.S. territory, but not as close as the Bahamas, the second-richest country in the entire LatAm region (first place goes to Trinidad & Tobago). Look at the list of countries by GDP per capita – it’s full of counterintuitive results (why are El Salvador and Guatemala so much wealthier than Honduras and Nicaragua? How did Costa Rica get so rich?). And don’t forget countries like Belize, Guyana, and Suriname, which are among the many states in the region that defy categorization. So we should false equivalence when observing the region as a whole. Still, on rare occasions Latin America does provide a stark and dramatic contrast between two countries that, for purposes of the comparison, are similarly-situated. Here, I refer to Brazil and Mexico’s competing approaches to combating the rampant corruption found in each country. As an aside, although Brazil manages to score much better on Transparency International’s Corruption Perceptions Index (ranked 69 vs. Mexico’s 103 out of 174), it is difficult to believe there is significant or fundamental difference in corruption levels. In its data, TI notes that Brazil’s scores from the various data sources are all over the map (ranging from 32-62) vs. Mexico’s (range of 29-42). Also, the data sources with that score Brazil higher than Mexico by the biggest margin are: Bertelsmann Foundation Transformation Index (BTI), ICRG Country Risk Guide, World Justice Project Rule of Law Index, and Global Insight Country Risk Ratings. The biggest divergence is with the BTI, where Brazil purportedly is nearly twice as ‘transformative’ than Mexico. But BTI, and the others in this group, have ‘fuzzier’ methodology than, say, the World Bank, Economist Intelligence Unit, and World Economic Forum. The BTI methodology is centered around a ‘framework’ that asks questions like – ‘how often are officeholders who abuse their positions punished’? – which are difficult to measure by numbers alone. So the ‘rule of law’ sections often rely on opinions from local experts, which raises additional questions. Not to say the BTI is invalid, just that it should be read with a grain of salt. All that’s to say – I would argue that corruption is equally pervasive in Brazil and Mexico. Even TI in the Americas section of the CPI noted that Mexico and Brazil belonged to ‘the ugly’ category in the region. In March of 2014, Brazilian Federal Police launched an investigation – dubbed Operation Car Wash – into allegations of money laundering. The investigation progressed into the summer of 2014, when federal prosecutors started to set their sites on Paulo Roberto Costa, the former director of refining and supply at Petrobras. Costa chose to cooperate with the investigators, and shared with them a tale of corruption so obscene and pervasive it even shocked Brazilians, 70 percent of whom believed corruption throughout their government to be ‘widespread’ before the Petrobras scandal unfolded. 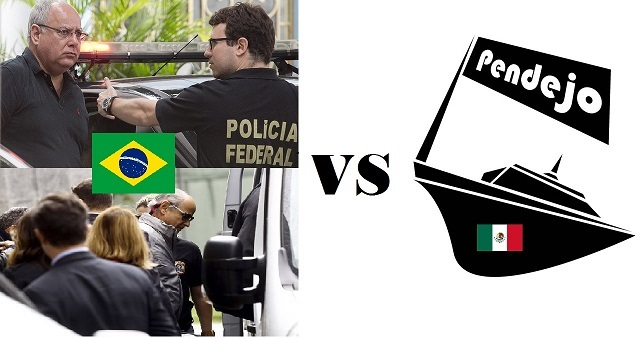 Following this lead, Federal police raided the houses of many current and former Petrobras executives and executives at the Brazilian construction companies that were involved in the scheme. And the investigation has not lost steam, with new arrests coming almost weekly. The case reached new heights, however, when Federal police arrested the heads of Brazil’s two largest construction companies (Odebrecht and Andrade Gutierrez), and it now appears that the two oligarchs will face criminal charges, something unthinkable to the average Brazilian one year ago. The investigation has also started to outgrow Petrobras and Brazil. Indeed, over the past week it spread to Electronuclear, Brazil’s state-owned nuclear power utility, and now investigators are following the evidence abroad, either to other emerging markets where similar schemes took place or ‘facilitator’ countries like Switzerland where the money was transferred. Other South American governments are doing their best to appear interested in identifying any wrongdoing within their borders, but without actually doing anything. Heads Turn to the Congress and … the President? The investigation has taken on such a life of its own, reaching sitting members of congress, and now now it even seems possible that it could result in criminal charges against former Pres. Lula and could prematurely terminate the presidency of Pres. Rousseff, whom 68 percent of Brazilians rate as ‘poor’ or ‘terrible’ (coincidentally, Rouseff was the Minister of Energy and Chairwoman of Petrobras when much of the criminal scheme unfolded. Indeed, the Petrobras scandal is compelling because of the thrill ordinary Brazilians get from seeing the rich and powerful arrested and sentenced to imprisonment. But this is not mere voyeurism on their part – if the rich and powerful are beyond the reach of the authorities, the country lacks the rule of law. If the rich and powerful of the country consistently and semi-openly engage in criminal acts, Brazil suffers from impunity. The real excitement over the Petrobras case is its potential to be a decisive development that promotes trust in the law and deters future misconduct. Notably, Operation Car Wash would never have been possible without an adequate institutional framework in which the prosecutors can act. Put simply – the Federal Prosecutor office in Brazil – or Ministerio Publico – is functionally, even remarkably, independent from the executive and legislative branches. The practical effect is that by Latin American standards Brazilian prosecutors are well-insulated from political or administrative interference. It is difficult to imagine that, lacking this independence, Operation Car Wash would have evolved into anything other than a minor money laundering investigation. And then there is Mexico. Like Brazil, in the past few years Mexico has struggled to maintain an adequate level of economic growth. Much of the blame was placed on corruption, deficient rule of law, and regulatory regimes that range from ineffective to actively harmful. Pres. Enrique Pena Nieto (“EPN”) took office basically promising to handle all of these problems. In a single six-year term. Without a constitutional majority in Congress. But EPN did manage to get the major reforms through, including one purporting to create a National Anticorruption System. The critique of Mexico is not that it is unable to pass written laws with words in them, it’s that those laws often are rendered meaningless in the implementation of lack thereof. It is the inverse of the situation in Brazil – in Mexico, there were a lot of debates, revisions to drafts, signing ceremonies, etc., but all that activity only makes the lack of impact more striking. The theatrics surrounding the anticorruption reform are a cancer on the rule of law, as they give the impression to ordinary Mexicans that their leaders are either (a) oblivious to the futility of their efforts, and perhaps a bit dense, or (b) trying to fool their public audience. The mass disappearance of the 43 Ayotzinapa students, which could not have happened without the support and assistance of local and perhaps federal/military authorities. Not only have the authorities not found the remains of the students, there’s reason to believe that the fragment of bone belonging to one of the students was ‘staged’ by federal investigators, according to the Argentine forensic team that conducted a joint investigation. EPN himself was caught by journalists receiving benefits in the form of real estate from Higa Group, the largest government contractor in the state where EPN was governor before winning the presidency, and is also a fast-growing federal contractor now that EPN is president. And we are not talking about one modest apartment from 10 years ago, but multiple mansions that were given in the past few years. For good measure, Higa also gave a house to Luis Videgaray, Minister of Finance and head of EPN’s campaign, in 2012. Unfortunately, not a single person in Mexico believes that Andrade will produce a report identifying improprieties, although virtually all Mexicans I talk to think the issue is obvious based on the facts we already know. The very dramatic, public, and drawn-out process is meant to conceal the underlying substance. Most recently, there have been a number of scandals surrounding construction companies involved in major infrastructure projects in Mexico (e.g., Viaductu Bicentenario, Line 12 of the Mexico City Metro). In some cases, surreptitious audio recordings of contractor executives and government officials have been released publicly on YouTube. Although some local officials have timidly indicated they will investigate, nobody is jumping at the opportunity like their Brazilian counterparts. If Mexico’s prosecutors were provided the same degree of independence as their Brazilian peers, there is no reason to believe that they would not use their office to the same effect. 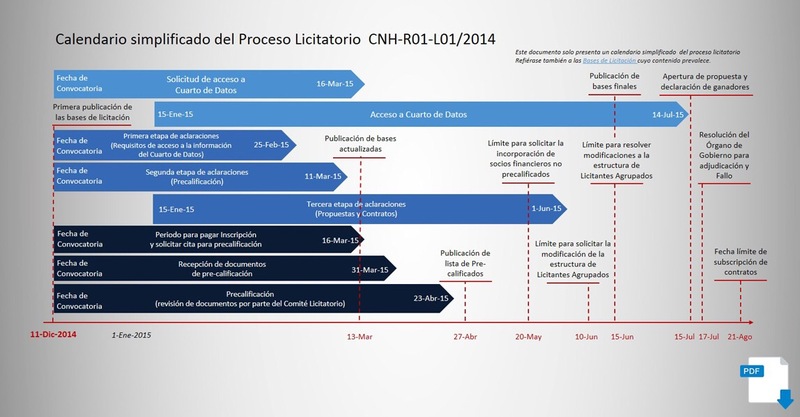 Still, the Mexican authorities do not seem to be in a hurry to finalize the secondary laws for the anticorruption reform, and even once finalized the reform does not create the same enforcement mechanism that Brazil has. Although Brazil is clearly feeling the pain of corruption more openly and acutely than Mexico right now, I would argue that their efforts to genuinely tackle the issue could help transform the country for the better. In contrast, if Mexico continues to postpone similar measures, it will be unlikely to achieve the economic growth it needs to develop the country. As a result, the many similarities between the two countries may soon start diverging, with Brazil headed in the right direction. 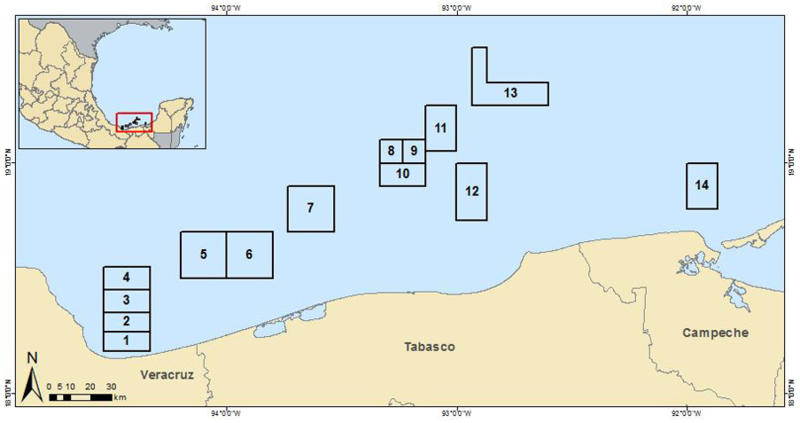 The Secretary of Energy (SENER) and National Hydrocarbons Commission (CNH) released draft contracts and other information related to the Round 1 bidding on shallow water projects. and warrants that it and its Affiliates directors, officers, advisers, employees and personnel have not made, offered or authorized, and will not make, offer or authorize at any time any payment, gift, promise or other advantage, directly or through any other Person, for the use or benefit of any public official or any political party, official of a political party or candidate for any political office, for the purpose of: (i) influencing any decision or omission by a public official, political party or candidate, (ii) obtaining or maintaining this Contract or any other business, (iii) approving any Recoverable Cost, or (iv) ensuring any other illegal benefit or advantage for the Contractor, its Affiliates, its shareholders or any other Person. Furthermore, the Contractor shall ensure that it and its Affiliates (a) will conform to and comply with any anti-bribery laws and regulations applicable to them and (b) will establish and maintain adequate internal controls for compliance with the terms of this Article 32.1.
competent Governmental Authority: (i) immediately upon becoming aware, or having sufficient reason to assume, that any act contravening the provisions of Article 32.1 has occurred, and (ii) within five (5) Days of gaining knowledge of any investigation or process initiated by any Mexican or foreign authority related to any alleged act that would violate the provisions of this Article 32. In addition, the Contractor shall keep CNH informed of the progress of the investigation and process through its conclusion. between its own interests (including those of its shareholders, its Affiliates and the shareholders of its Affiliates) and the interests of the Mexican State in dealings with Subcontractors, customers and any other organization or individual that conducts business with the Contractor (including its shareholders, its Affiliates and the shareholders of its Affiliates) with respect to the Contractors obligations under this Contract. Under Article 23(2)(i), the CNH has grounds for rescinding the contract if the contractor violates any of the compliance provisions in Article 32. If the contract is rescinded, the contractor loses its right to conduct petroleum activities in the area, must pay liquidated damages to the government (essentially equal to cost of completing the project), and loses the right to receive payments in relation to the contractor’s petroleum activities. Significantly, companies acting as members of a consortium will face the same consequences if any one of the consortium’s members violates the compliance provisions. The compliance provisions in the model contracts are interesting. The most striking characteristic is how broad they are. The representations and warranties about no improper payments does refer to the specific contract, but also includes ‘catch-all’ language that in principle applies to improper payments for any purpose. The Spanish language version could not be interpreted differently. It is unclear whether SENER intended to be so expansive with this provision. Most likely, they are more concerned with ensuring the integrity of the bidding process and the work performance for the contract. Similarly, the ‘internal controls’ requirement can be interpreted quite broadly. Contractors must ensure adequate controls are in place at its ‘affiliates’ (filiales), which is defined as “with respect to any Person, any other Person that directly or indirectly Controls, is Controlled by, or is under common Control with such Person.” So, Mexican subsidiaries of foreign companies must ensure adequate internal controls at its foreign parent and at other subsidiaries under that parent’s control? As for joint ventures or consortia where a company has a non-controlling interest, we already know that such a minority interest company faces joint liability if its partners violate the compliance provisions. The most striking provision is the ‘notification of investigations’ language. Generally, it requires a contractor to let the Mexican government – defined as CNH and ‘any other competent authority’ – know when: (a) it learns of potential violations of the compliance provisions; or (b) it is under investigation, either in Mexico or abroad, for conduct that would violate the anti-bribery provisions. In the latter case, the contractor has five days (!) to notify CNH and the mystery ‘competent authority’. The first notification requirement – for ‘potential’ violations – is complicated by the same issues addressed above. Does a contractor need to notify CNH et al of any potentially improper payments, even those unrelated to the contract (e.g., what about small payments to traffic police)? Also, it is not apparent what would trigger a disclosure obligation on internal controls failures. More generally, the knowledge level that triggers the disclosure obligation – ‘becomes aware, or has sufficient reason to assume‘ – is vague and unhelpful. Although the latter sounds like the ‘willful blindness’ doctrine from the U.S., there it is applied in criminal and civil cases in order to define someone’s mental state in relation to an event that happened. Here, it is being used as a trigger for disclosure, even if it is not clear that something has happened. The second notification requirement – on Mexican and foreign governmental investigations – is also flawed. Again, it would make sense if contractors only had to disclose investigations related to obtaining the contract and performing the work under the contract. As written, it constitutes an open-ended obligation to disclose to the Mexican government any anti-bribery investigation, from any country, of any of the contractor’s affiliates (i.e., parent and subsidiaries controlled by parent). Moreover, contractors are obligated provide updates to CNH on the progress of the investigation. In other words, the current compliance provisions will almost certainly defeat the very purpose they are intended to serve. The conflict of interest provisions – which are just as awful – reinforce this conclusion. Limit the anti-bribery representations and warranties to conduct reasonably related to (a) obtaining the contract; or (b) performing work under the contract. As it Turns to 2015, How Can Mexico Put 2014 Behind? 2014 was an unfortunate year for Mexico, despite (initially) glowing praise from international media outlets and a relatively painless process of passing major economic reforms. Ultimately, dark reality triumphed over glittering narrative, and the PR-based presidency of Enrique Peña Nieto (EPN) buckled. There was the anemic GDP growth and dramatic fall in FDI inflows, which contrasted sharply with the promises of reform-fueled development. There was the continued increase in drug trade-related violence, of which the Ayotzinapa case was a dramatic exclamation point. And there were the corruption scandals – up to and including EPN and his cabinet – that belied the PRI’s image as a ‘modern and reformed’ version of the party that presided over 71 years of authoritarian rule. And just in time to end the year, the Mexican peso dropped about 15 percent in value due to collapse in global oil and gas prices. These events have taken a toll on EPN. His approval rating has dropped from 61 percent in 2012, to 50 percent in 2013, and to 39 percent as of the end of 2014. 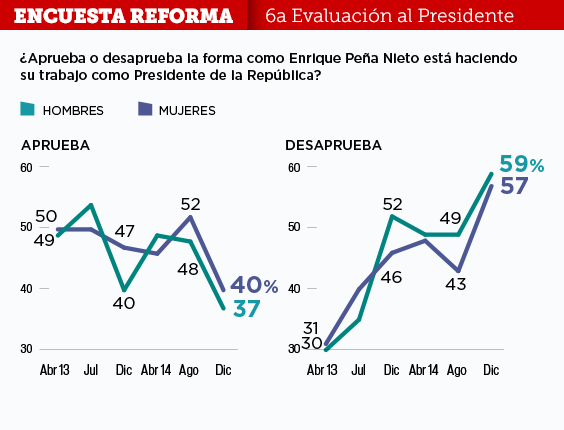 More importantly, 67 percent of younger Mexicans (ages 18-29) and 82 percent of more-highly-educated Mexicans disapprove of EPN’s handling of the country. Mexicans are particularly disappointed with EPN’s efforts to fight corruption in the country, with 65 percent indicating that he is doing a ‘bad’ job. Shockingly, 91 percent of ‘opinion leaders’ believe EPN is doing a bad job in fighting corruption, worse than any other issue (including violence, organized crime, etc). Unsurprisingly, 78 percent of Mexicans believe that corruption in the country will increase (only 23 percent disagree). Moreover, levels of trust in Mexican institutions have fallen dramatically over the past year, with every institution losing ground (except for the Congress). Moving On, But Where and How? On January 4, EPN tweeted a message exhorting Mexicans to demonstrate their strength with ‘unity and courage’ by making 2015 a year of ‘achievements’, which attracted mockery and condemnation from Mexico netizens. And this response is understandable given EPN’s apparent lack of direction when it comes to tackling Mexico’s multiple crises in 2015, particularly corruption. Indeed, as covered in detail here, the anticorruption reform was not passed and the Special Prosecutor for Anticorruption was not appointed by the end of the Congress’ 2014 session. Also, security experts have widely ridiculed EPN’s hastily prepared ‘police reform’, which he intended as a policy response to Ayotzinapa. The main weakness of these efforts is that Mexicans do not view the President or Federal Government as any less corrupt than the state, municipal, and local authorities, which disqualifies the former from remedying the latter’s conduct. Outside help – EPN should seek out international assistance – e.g., from multilateral bodies, third-party countries, private entities – in the investigation and remediation of the Ayotzinapa case specifically, and the problem of violence and disappearances generally. The public simply does not trust any branch of the Mexican government to handle this task. So, EPN needs to find an organization that is credible to the public, and rely on that credibility until faith in government is restored. More broadly, EPN could seek to establish one or a number of permanent commissions – similar to the Truth Commission in Guatemala – designed to investigate state-sanctioned violence and bring perpetrators to justice. Clean house – EPN should determine whether any high-level members of his government have participated in or knowingly failed to prevent acts of corruption, whether it be collusion with organized crime, receiving inappropriate benefits, etc. These people either need to go or receive appropriate punishment. To the extent that EPN or his family members received any benefits in the past, they should be liquidated and the proceeds should go to a reputable charity. Pass anticorruption reforms – EPN should push the anticorruption reforms through the Congress and ensure that their implementation is swift and clearly provides a mandate to any new monitoring/prosecuting bodies. If EPN faces political resistance in the Congress, in the interim he should push the Prosecutor General to pursue corruption crimes using existing resources. Energy reform transparency – EPN must ensure that all public expenditures and auctions associated with the Energy Reform meet the highest standards of transparency. This means more than simply publishing the results of a tender, the participants, and a short justification for selecting the winner. Rather, EPN should impose requirements on information disclosure, record keeping, and interaction with bidding parties. In principle, anybody should be able to find a given tender and review the related planning, discussions, and decisions from start to finish – i.e., from need identification, to specification design, interactions with bidders, receiving/evaluating bids, and selecting a winner. Ideally, this enhanced level of transparency could eventually be adopted for all public tenders over a certain monetary threshold. Reduce red tape – as the opinion surveys cited above show, Mexicans do not trust any part of the Mexican government, and what little trust they do have is rapidly declining. Although the public and media focus on high-profile cases like Ayotzinapa, much of this distrust likely stems from more banal and mundane interactions with low-level officials on regulatory matters. In other words, trust in government is damaged by low-level officials who solicit bribes in exchange for stamping a form or ignoring purported safety concerns. EPN should minimize ordinary Mexicans’ interactions with these officials to extent possible, e.g., by cutting the number of procedures required to obtain routine permits/licenses, reducing the regulatory bases for police interventions in traffic, and so on. Only the most competent officials should keep their positions, but at an increased salary sufficient to reduce the incentive to seek bribes. Although many of these regulations and officials are at the state/municipal level, EPN could still focus on federal civil servants and develop incentives to encourage local authorities to follow his lead.